Men lie women lie but Forbes doesn’t...and according to their annual listing of billionaires Amazon Chief Executive Jeff Bezos has done it again in the world of the richest. Amazon owner Jeff Bezos has become the first billionaire to surpass the $100 billion mark on Forbes' list. Jeff Bezos is the first "centi-billionaire" with an estimated $112 billion wealth. Bill Gates, who was previously recorded with an estimated wealth of $86 billion on the same list last year came second at $90 billion. Men lie women lie but Forbes doesn’t…and according to their annual listing of billionaires Amazon Chief Executive Jeff Bezos has done it again in the world of the richest. Bezos has become the first billionaire to surpass the $100 billion mark on Forbes’ list of richest person. 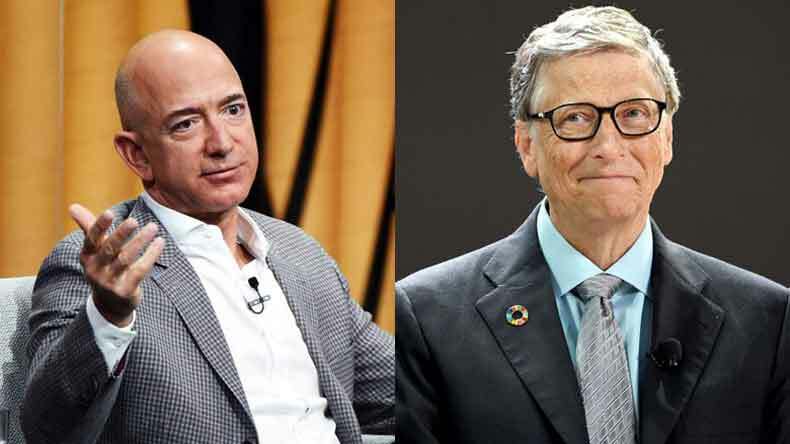 Coming not as a surprise to many of us, Bezos has dethroned all timer Bill Gates and is now the only “centi-billionaire” with $100 billion-plus mark. His exploits in the list of the richest were announced on Tuesday as Forbes estimated the net worth of Amazon CEO at a whopping $112 billion. Bezos leapfrogged from his previous best of $73 billion last year to a staggering $112 billion in February this year. With his Amazon store which sells almost everything online, it is pretty obvious that Bezos is expected to rank among the upper echelons of billionaires who are making money in the blink of an eye. The $100 billion dollar man forced Microsoft co-founder to occupy the second spot with a worth of $90 billion. Gates was previously recorded with an estimated wealth of $86 billion on the same list last year. Bill Gates was followed by another business magnate Warren Edward Buffett as the chairman and CEO of Berkshire Hathaway came third with $84 billion estimated wealth. While CEO of luxury goods maker LVMH, Bernard Arnault came fourth at $72 billion, Facebook CEO Mark Zuckerberg occupied the fifth spot with $71 billion. While every billionaire reached new heights last year in the world of the richest, US President Donald Trump witnessed perhaps an all-time low possibly with $400 million drop to $3.1 billion. Although, Trump might not have made Forbes’ richest list great again but Amazon owner Jeff Bezos’s wealth on the other is now equivalent to the wealth of Trump’s 2.3 million fellow Americans.